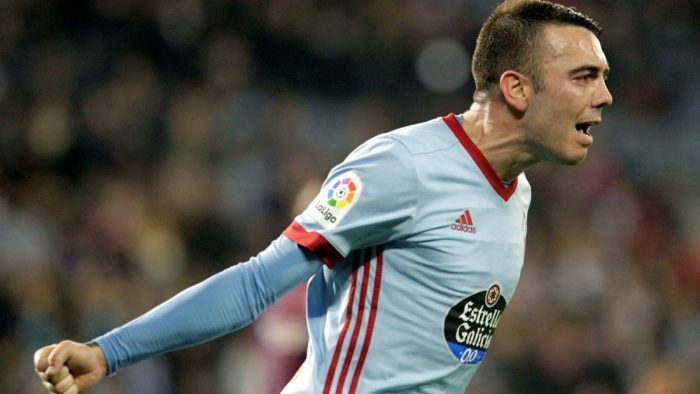 UEFA Champions League holders, Real Madrid are considering a £36million move to sign Celta Vigo striker, Iago Aspas as their search for a new forward continues. Madrid are hoping to strengthen their attack ahead of the August 31 European transfer deadline. However, Metro, UK, reported on Thursday that the Los Blancos were set to make a last-ditch effort to sign PSG’s World Cup star, Kylian Mbappe but are drafting up a list of more modest alternatives in the person of Aspas. The report claimed that Aspas represents a far cheaper alternative and, given that he is able to play across the forward line, he would become an experienced back-up to the likes of Gareth Bale, Lucas Vazquez and Marco Asensio. Aspas has rebuilt his career in La Liga following a disastrous spell at Liverpool, during which he failed to score a single Premier League goal. The 30-year-old joined Sevilla on loan before returning to Celta Vigo.